While completing his residency training at the VA hospital in Northport, Dr. Barkoff received extensive training in prosthetic and implant dentistry. He continues to stay on the cutting edge of dentistry and technology through continuing education courses. It’s important to Dr. Barkoff that his patients receive the highest quality of care, with the newest techniques and equipment, while feeling comfortable and at home in his office. Dr. Barkoff has assembled a unique team made up of people who make each patient instantly feel like he or she belongs here. Each person is warmly greeted and offered all the amenities found at home. Our staff does everything they can to make patients comfortable; everyone is warm and friendly, and they are genuinely invested in people’s health and happiness. 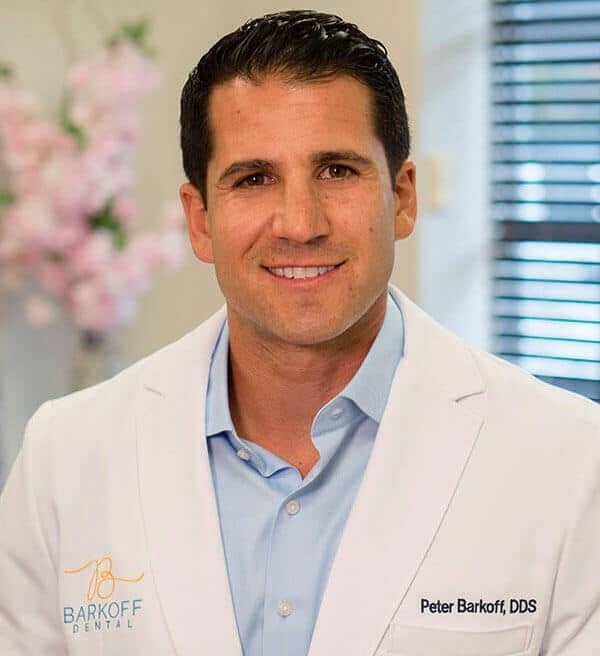 Dr. Barkoff is originally from Woodbury, and currently resides in Syosset with his wife Ashley and their three sons, Brooks, Cooper and Hudson. In his spare time he enjoys exercising, playing sports with his kids, and spending time with his family.